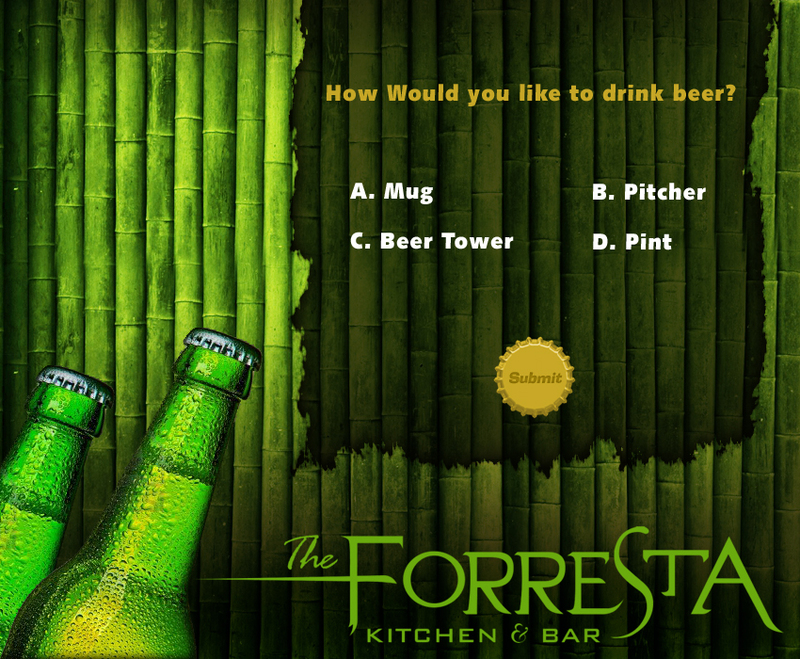 A fairly new entrant in Jaipur’s food horizon, The Forresta Kitchen & Bar is probably one of its kinds in Jaipur city. 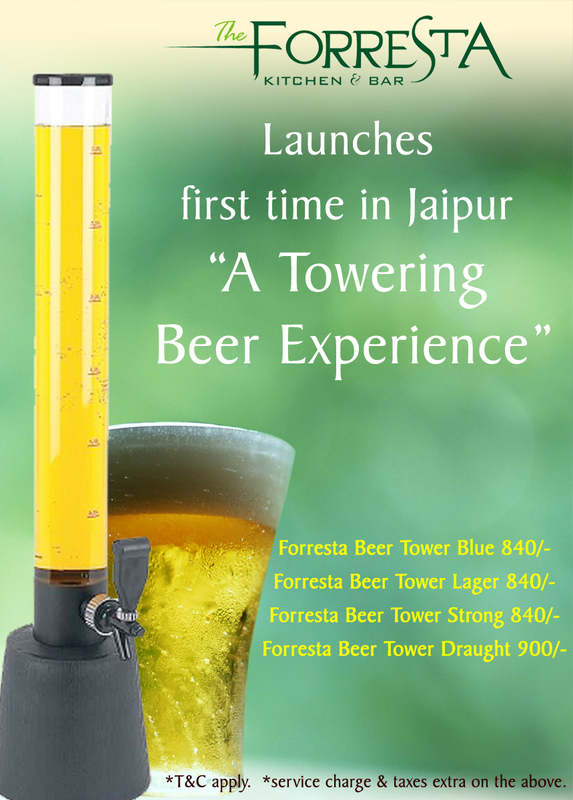 Promotion on Social Media can be executed relatively at a lower cost, so they approached us to initiate an aggressive online marketing campaign to push up the launch of ‘Beer Tower’ at the Forresta on Social Media. After initial discussions, we came to the conclusion of launch it on Facebook by floating digital creative and also decided to launch a contest on FB as Social Media contest produce tremendous results no matter how large or small is your business. We thought to utilize channels already available to us like Facebook, Twitter, WordPress. A creative was made and an App was developed by Pathfynder for running the contest. The contest was brought closer to the viewer by sharing the link on FB adding a new dimension to viewing and voting. The Forresta received enormous response from its fans and followers. Cross branding played an important role as though the contest was launched on The Forresta FB page but the contest had been extremely successful at engaging social audiences of other FB pages like Devraj Niwas, Jaipur Beat, Hotels in Rajasthan. Momentum was built on Social media generating ROI through social sharing by friends of friends. Adding a survey questionnaire helped us to plan for future campaigns.